Mojito flavored lip balm will tip you high with its fruity flavor and it soothes your lips with its super hydrating formula. 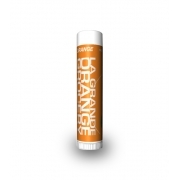 This lip balm formulation is scientifically engineered to lock maximum moisture over your lips for long time. 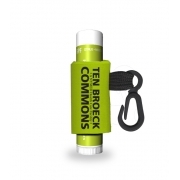 Natural beeswax, stevia, flavor, and skin nourishing components are compounded in balanced proportions to deliver characteristic flavor, properties and color to this lip balm. 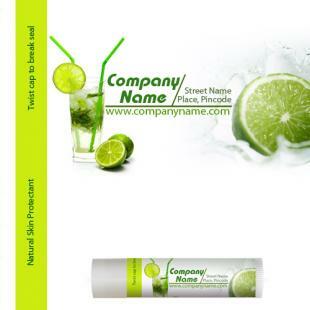 This mojito lip balm offers delivers pain free, silky and beautiful smile. 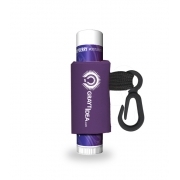 It slides easily over lips and creates silky feeling, which stays on for long time. 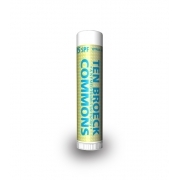 It temporarily eases pain caused due to bruised, dried and irritated lips. Health Quotient – No paraben. No artificial dyes, fragrances, and fillers used. Harsh synthetic fillers, preservatives are not added. Directions – Rub the mojito flavored lip balm as required. Reapply it whenever necessary. Avoid using it on other parts of face because it is not tested for that application. 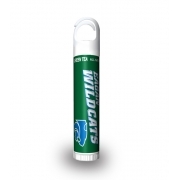 Gifting Favors – Restaurants, pubs, dance clubs, spas, salons, luxury department stores, individual businesses and all other advertisers who wish to gift away an exotic lip balm to customers can easily buy attention by gifting away customized mojito flavored lip balm.